Richard Garriott believes that a new wave of meaning driven MMOs are coming and hopes to lead the way with Shroud of the Avatar. When it comes to big names in role playing, Richard "Lord British" Garriott is about as big as it gets. He's one of the earliest progenitors of the genre, building it up and helping to revolutionize it with his landmark Ultima series. Ultima Online, in turn was the original MMORPG, a genre that Garriott is currently working to re-enter with Shroud of the Avatar: Forsaken Virtues. 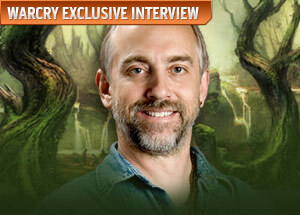 Speaking with WarCry in a series of recent, exclusive interviews, Garriott discussed his work on Shroud of the Avatar, MMOs, and what it takes to make it in a field as competitive as game design. "[Shroud of the Avatar] is the spiritual successor to all things Ultima, and even more broadly, all things Lord British. It's a much stronger story-based game than [Ultima Online], and we're even taking the best parts from Tabula Rasa, like Control Points," he said, discussing the game. "So it's a combination of the best practices of the past as well as some great new design and technology that we're bringing to bear." Among the new design ideas is item creation and an economy left entirely to players. Items created by players will be recycled and reused by the game when discarded while players will often have active roles in villages and cities, owning property and setting up in-game businesses. That said, Garriott also intends keep some things markedly old school. SotA will feature no quest log, for instance, and likewise will require players to communicate with NPCs via typed English text, rather than dialogue options. The inclusion of such features could be seen in some ways as a response to modern MMO trends, based primarily in games like World of Warcraft, that he sees as having been "completely trodden into the ground." "I do think level-grind theme park games are dead, in favor of the sandbox, and not just the sandbox, but the sandbox with meaning. That's going to be the next wave," he said. This next wave will presumably be fostered by an emerging generation of game developers and designers that Garriott hopes will learn the right lessons moving forward. "You need to be a person with the interest and the aptitude, as well as have the time to step back and build things with themes. Instead of just laying out a city, you need to think about who will use this city, and what its purpose is," he explained. "If you embody your world with meaning, you don't need to continuously add individual parts that add up to it, they'll already be there, and great things will just fall out of it." To find the interviews in full, head over to Warcry.